One of the latest and most exciting advances for patients with malocclusion (bad bite and/or crooked teeth) is Invisalign ® and the other new clear aligners. Invisalign® is the brand name for a new kind of braces that are removable and practically invisible. It is actually a series of clear aligners that you wear like an athlete wears a mouthpiece. 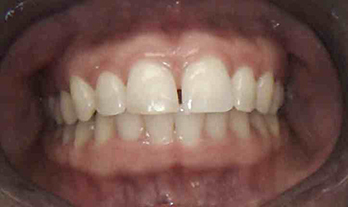 As the treatment progresses, your teeth gradually move to fit the aligner, and then you start wearing the next aligner. We will design the treatment program so that by the time you are finished wearing the last aligner in the series, your teeth will have adjusted to the proper position. Once your permanent teeth are in, usually between the ages of twelve and fourteen, you ar a candidate for Invisalign®. While teens love how invisible their orthodontic treatment can be, Invisalign® is especially popular with adults. Now it is not too late for people to address crooked teeth and bad-bite issues later in life. 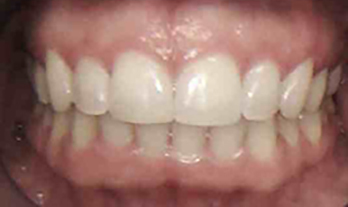 Before Invisalign®, some adults thought they were “too old” to have metal braces on their mouth. Ask our team at Timberlake Family Dentistry whether your dental problems can be treated with the Invisalign® technology.